JetWright LLC. will provide you with an accelerated Pilot in Command type rating flight-training course specifically designed for you, based on your pilot certification, previous aviation education and your flight experience. Your Citation CJ Type Rating also known as CE-525 or CE-525S (Single Pilot) will be added to your Private Pilot, Commercial Pilot and or Airline Transport Pilot Certificate. Whether you are seeking Single Pilot CJ Series Type Rating CE-525S or CJ Series Crew Type Rating CE-525, your practical test will be administered by either our FAA Designated Pilot Examiner (DPE), or by the FAA qualified Designated Pilot Examiner of your choice. Standards applied are the Airline Transport Pilot and Aircraft Type Rating Practical Test Standard (PTS). 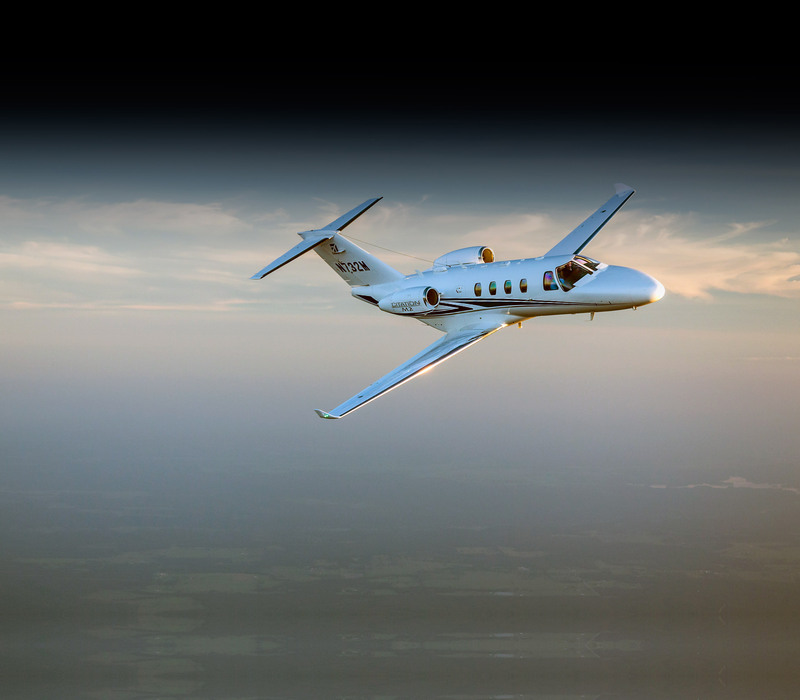 Citation Jets CE-525 and CE-525S type rating qualifies you to perform duties of Pilot In Command in all aircraft requiring the CE-525 type rating. This includes: CJ, CJ+, CJ1, CJ1+, CJ2, CJ2+ CJ3, CJ3+, CJ4, and M2. For details regarding customized courses to meet your needs, please contact us. In Aircraft Citation CE-525S Means No SOE Limitation! Because our training is conducted in aircraft and not in a simulator, the JetWright LLC initial training eliminates the Supervised Operating Experience (SOE) restriction that gets placed on your pilots certificated when you get your type rating in a simulator. While you may have insurance imposed experience building, you will not have to go through the hassle and expense to remove the SOE limitation from your pilots certificate and all of your hours will count starting from day 1. The training course for your initial jet type rating is a 12 day long program. It is designed to give you the foundation needed to successfully transition to the world of single pilot jet operations. A part of that is, of course, ensuring that you have the knowledge, skills and competence level required to successfully complete your type rating practical exam. This is a full time course and requires your complete, undivided attentions. It consists of an advance, self study package followed by the one-on-one flight and ground instruction. The advance materials builds the foundational knowledge you will need to successfully transition to jet operations. The one-on-one training program, which takes 12 days, includes two 5 day periods of comprehensive, full immersion flight training. These sessions are separated by 2 days of self study to review, absorb and process what youÂ’ve learned as well as to prepare for the final 5 days which will lead up to your CE-525S type rating practical examination. Depending on your previous flight experience, pilot ratings, and aviation educational background, JetWright LLC will be able to provide you with a CE-525 Citation CJ course tailored to you. Our program is designed to be flexible and fit your needs, whether you want to add the CE-525 or the single pilot CE-525S type rating to your certificate. If you already have a turbojet type rating, an accelerated course can be done in as short as 3 to 5 days with your advance preparation and your full time participation. Our dedicated instructors will train you at one of our beautiful Arizona locations where we enjoy great flying weather year round with quick and easy access to both simple and complex airspace for the best training possible. We are also able to travel to your location and begin the training as you take possession of your CJ and begin the training as we head back to one of our Arizona locations.